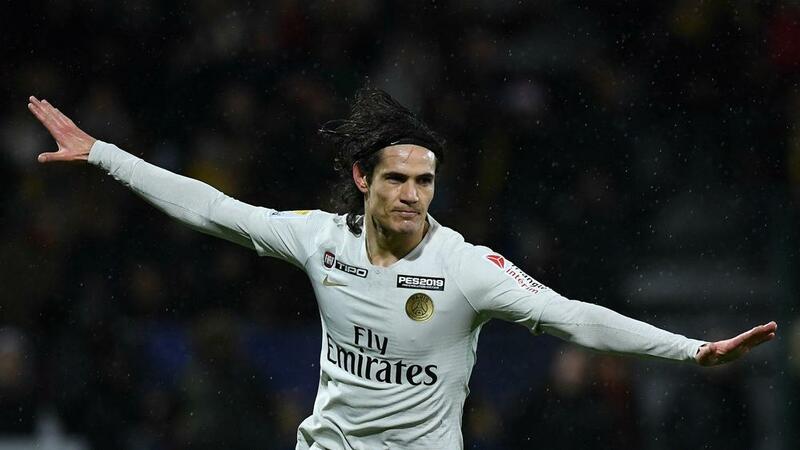 Paris Saint-Germain laboured to a 2-1 victory over Orleans in the Coupe de la Ligue. Paris Saint-Germain scraped into the Coupe de la Ligue quarter-finals thanks to a late goal from Moussa Diaby that secured a laboured 2-1 victory over Orleans. In their first domestic cup outing of the season, PSG, winners of the last five Coupe de la Ligue trophies, rarely got out of first gear on Tuesday, and were almost punished when Joseph Lopy hauled Ligue 2 side Orleans level in the 69th minute. Edinson Cavani's moment of quality had separated the sides at the interval, with fine goalkeeping from Thomas Renault denying Cavani and Kylian Mbappe – making his final appearance as a teenager after replacing the injured Angel Di Maria – at bay after the restart. But it was another teenager who would settle the contest, as Diaby breezed through weak Orleans defending to book PSG's place in the last eight. Eric Maxim Choupo-Moting almost made the most of a rare start inside two minutes, but his strike was kept out by Renault. Cavani, however, showed no such profligacy four minutes before half-time, lofting home a superb first-time finish after latching onto Di Maria's dinked throughball. PSG's goalscorer could have put the game to bed in the 48th minute, only for Renault's trailing leg to prevent Cavani's close-range effort doubling the visitors' advantage before Orleans' goalkeeper made an equally impressive stop to deny Mbappe. And Orleans took full advantage of their keeper's good work – Lopy arrowing a strike into the bottom-right corner after Christopher Nkunku had squandered possession. Orleans' hopes of an upset were quashed with nine minutes remaining, though, as Diaby made the most of poor defending to settle the tie in PSG's favour. Mbappe had Orleans' goal at his mercy in stoppage time but Gauthier Pinaud somehow pulled off an incredible block on the line to prevent the youngster adding further gloss after Renault had come up for a set-piece. The domestic cups will likely present Thomas Tuchel with the best opportunity to rotate his hugely talented squad but, even with just a few of their stars missing, PSG lacked the intensity and cutting edge that has seen them cruise clear at the top of Ligue 1. Orleans stayed in the game, and PSG's defensive vulnerabilities almost came back to bite them. With Cavani and Mbappe both on the field, it was 19-year-old Diaby who took matters into his own hands, driving through Orleans' defence before slotting beyond Renault. Tuchel handed youngster Nkunku a chance to impress, but the winger failed to take it and made a poor performance worse by conceding possession in the build up to Orleans' equaliser. Compounding his miserable evening, his replacement Diaby showed PSG just what they had been missing. Orleans travel to Beziers in their next Ligue 2 outing, while PSG round off 2018 by hosting Nantes in Ligue 1 on Saturday.